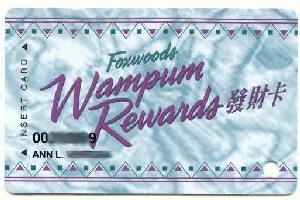 Foxwoods-Wampum Club. No Oriental writing. Foxwoods-Line under Foxwoods. Has resort on front. Has Oriental writing. 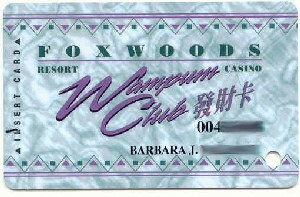 Foxwoods-Small print Foxwoods. Does not have resort. Has Oriental writing. Foxwoods-Red. Wild. 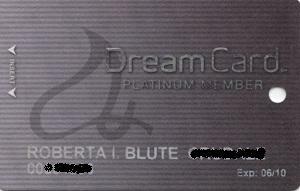 White number/name. Front & back. 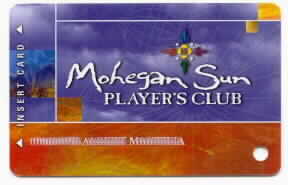 Mohegan Sun- Orange. Core #1. Front & back. Mohegan Sun- Blue. Leap #3. same back as Core.